Friends do not come our way by themselves. We meet someone somewhere and get connected. Then to sustain that relationship it takes a lot of trust, respect and caring to nurturing its innate growth. Friendships have to be true to each other for being able to freely discuss the secrets that are embedded deep within them. Friendships may even last a lifetime in some cases. Most of the people whom we meet in our lives do not end up as friends. There needs to be a spark lit to make it happen by way of an inner connection. This is true friendship. Most people whom we meet become our acquaintances and not our friends. In today’s World of virtual friendships a true friend is very hard to find. All of us have many virtual friends but a relatively smaller handful of people whom we can call as our true friends. Others may just stay as friends to the very end. Friends can pick up where our parents or siblings have left off and will continue to do so in areas which happen to be in the dark zone. They are also a breed of people who are genuinely and authentically unique and unmatched by any other. They are in fact true to self and to others. A true friend is one whom we can depend on at all times, in good times and bad. They also maintain their side of loyalty as a friend under any circumstance. Like any relationship, friendships also work both ways. It is a two way street which is bonded by an invisible bond called trust. There must be openness and a strong support system established between them in order to sustain it and for it to be successful. At times this could be put to the test by outside forces acting on them to DE BOND or decouple. Jealousy may be one such example. Only their own trust, sincerity between them and devotion to each other can help keep it together by sticking together in such sticky situations. A true friend is happy when you succeed and sad when you fail. He then picks you up and help you move forward towards the path to your success. He or she is happy when you are. He or she looks out for you day in and day out. All you need to do is pick up the phone and help is on the way. This friend is your personal “Help hotline”. They watch out for each other. 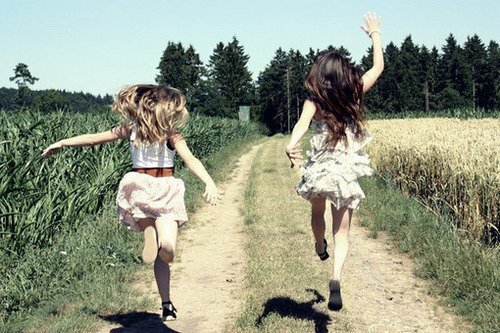 A true friend also walks with you when the rest are walking away from you. In the real World there are phonies on everything, so watch out for them. For brand name goods there are pirated ones, fake ones seem to replace authentic ones and this is how the World seems to be operating. Friendship is no exception either. In this World, not everyone will be your friend. They do not have to be. Some may like you, or some may even hate you for what ever reason. But we cannot change our appearance for anyone. We are who we are. This holds good for them as well. Some may not like how we talk, others may not like our looks and some others may not like the way we dress. Likewise we should not be judging others also. We need to run our own lives and do what we like to do. What others do is their business and not ours. Also we can only change ourselves and we cannot force change on others against their will. We are two separate individuals. Each of us have our own tastes, differences, dreams and aspirations, likes and dislikes. This is who we are as HUMANS. We need to respect each others differences, learn from each other and move on during our journey through life. Remember we are only renting this space on Earth. Friendship is also very sacred. Once it’s lost, it is lost for ever. 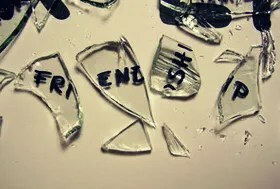 Many people take friendship for granted until it’s lost. Once lost, trust also goes out of the window along with it. At this juncture it’s nearly impossible to regain the old friendship back. It is very surprising to see that people spend many years making friends putting in the required time, energy, dedication and trust in creating them, but the breakup is so rapid that it’s a shock to the other. At many times silent treatment follows them for many years for no reason at all. The other party involved may have no idea what was this about and have no way to knowing about what stemmed the tainted relationship because of lost communication. Loss of friendships are multi factorial and in many cases as a result of a very minor misunderstandings. Like I had mentioned previously, friendship is all about respect for each other, sincerely, openness, dedication and caring for each other. It is in fact a mutual relationship like any other relationship. If there is a problem all we have to do is to TALK openly and privately instead of carrying that grudge throughout our lives to our graves. This is what I call EXCESS BAGGAGE. Then create a compromise in order to get back to where you both had left off before the relationship turned sour. In many cases, one person has to give in and let the other person dominate to make this happen. In most cases either party may not want to give in. In this case its nearly impossible to bring back that friendship. All we can do is to try. If we do not try, it’s automatic failure. JUST LIKE IT IS IN REAL LIFE. OPEN and FREE Communication also do play a major role in keeping both parties under the loop of friendship without which it may not last that long. Trust builds and binds the TRUE bond between friends. In fact it is THE glue that holds them together. Trying to pry it apart by others may not give them a successful outcome. Things such as misunderstandings or miscommunications could be mended with an open and sincere communication. Letting in Jealousy, ego, frustration, anger etc. Having a friend for the sake of having a friend is not True friendship. There’s a give and take in any relationship that includes friendship. Like any business partnerships, friendships also have to have an equal share that is applied to both parties for it to be given equal importance. Such as a 50-50 split. Anything less or more to one or the other would prove disastrous in the long run. Do not take your friends for granted. Respect, cherish and grow along with them. Remember that friendship is a two way street. YOU CANNOT DO IT ALONE. To walk down that street all we have to do is TALK. I do not think that is difficult for most of us. Let’s learn to talk more openly and that too more often. If there is a problem, nip it in the bud and move on to have a True friend by your side always to the very end. Previous Post Transportation with NO WHEELS. Next Post A World without BARRIERS.